Park Ho-San and Lee Seol from Less Than evil team at the red carpet of MBC 2018 Drama Awards. 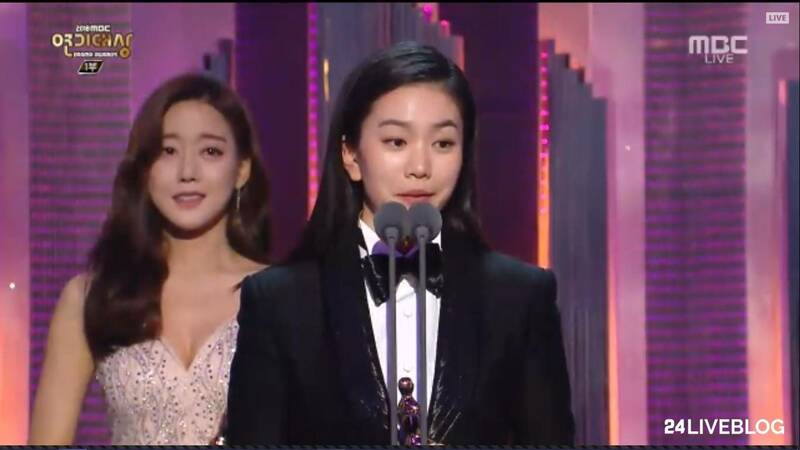 Lee Seol wins a Best Female Rookie Award. Male High Excellence Award for Monday-Tuesday Drama goes to Jung Jae Young ("Partners for Justice") and Shin Ha Kyun ("Less than Evil")! Shin Ha Kyun was not able to attend the awards ceremony today. Will there be new episode today? Woo Tae-suk (starred by Shin Ha-gyun) in MBC’s TV Show "Bad Detective" is a homicide detective who even breaks the law to realize his own justice. He tortures a criminal to save a victim in captivity and threatens a suspect with fake proof. He even pushes off a serial killer who begs to save him hanging onto the guardrail of a high building. Cops are not supposed to and do not break the law in reality. 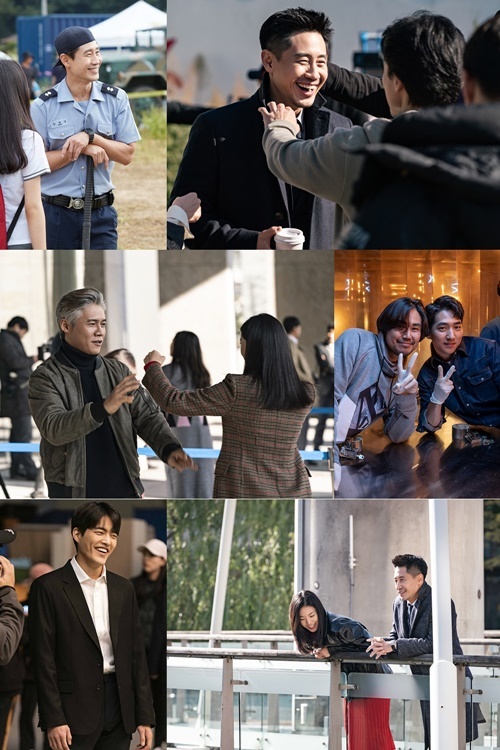 But the "dark hero" Woo’s active investigation gives vicarious satisfaction to viewers who are tired of listening to cruel crimes. Shin Ha-gyun’s excellent acting performance makes the preposterous character alive, and the stylistic directing of the show is also noticeable. The screen is full of cold, dark and dry colors as well as graphic violence which is almost the level of adult crime movies. The show combined a long story with the settings of the original British show "Luther," which weakened the narrative of the show. This may be the reason why the viewing rate is hovering around eight percent, which is slightly lower than that of the earlier episodes. A bold decision is needed to keep receiving positive reviews. The show has been well-received given that it is different from other Korean TV shows. @mrsj3n Hi~Feel like it has been days since i’ve Seen you haha. How have you been? @sushilicious Hey.. Happy New Year! Won't be able to catch up any drama for a few days... had a fall and hurt my head. So gonna stay in the hospital for some checks before I can go home. Summarize the latest episode for me will ya? Since I can't watch in the hospital. Anyway can someone tell me why they didnt air less than evil this week?? No episode this week or? I have been watching too much revenge, thriller, suspense or mystery drama. Haha once you become a psychopath, you never go back. That's why I want to turn back before it's too late. @mrsj3n Don’t worry, if you ever go to the psychopath realm, me and Park il Do will be there. Waiting. BTS Everybody is all smiles.